Alan Manly is a passionate entrepreneur. 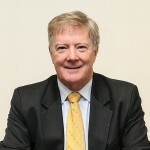 He has more than thirty years of experience in the technology and education industries, and this bank of knowledge has culminated in the foundation of Group Colleges Australia (GCA) — a range of training institutions that ten years ago was expanded to include the Universal Business School Sydney (UBSS) MBA program in order to support the next wave of Australia’s entrepreneurs. Alan states that his story is not dissimilar to those of the students who attend his college; he too had somewhat of an ordinary background before he found his entrepreneurial spark.